A colouring book to keep and treasure forever. The wonderful illustrations are ideal for framing.It is, quite simply, a beautiful book. 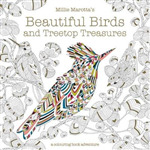 A colouring book to keep and treasure forever.The wonderful illustrations are ideal for framing. It is, quite simply, a beautiful book. 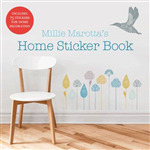 Leading illustrator Millie Marotta has created a great collection of wall decoration stickers that could grace the walls of any home.You can instantly get a sophisticated and consistent look for a room or whole home with these stickable works of art. 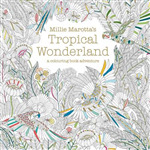 Lose yourself in a riot of colouring in and drawing as you bring the exotic creatures and plants in Millie Marotta's Tropical Wonderland to life. This book will bring enjoyment to anyone who is looking for a creative outlet or a mindful and relaxing activity. 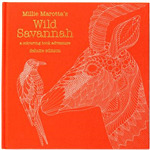 A stylish notebook from the bestselling illustrator Millie Marotta. 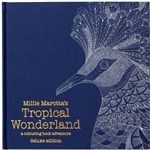 Millie's Animal Kingdom offers a range of beautiful illustrations to colour in, personalise and make your own. An inspirational book for all lovers of fine illustration.